Think Digital : Double Killer - A Reliable Duplicate File Removing Software. 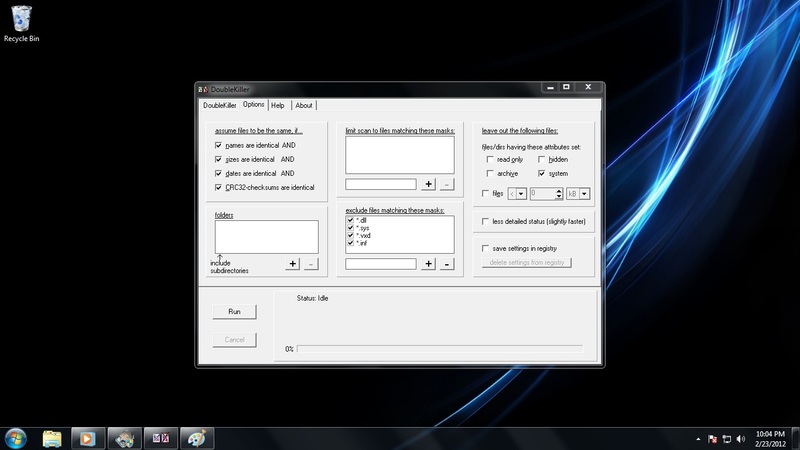 Double Killer - A Reliable Duplicate File Removing Software. There was a time when a tiny 1.44MB floppy disk was a big thing for us. I still remember those school days when I used to carry my floppy disk to computer lab to load DOS games. Times changed and slowly MBs turned into GBs and GBs into TBs. The size of hard disk has increased just like the price of real estate. My first computer in 2001 had only 2 GB HDD and my current computer has 2 TB HDD which still looks small. There are so many files, games, movies and data that we store on our computers and slowly it starts running out of space. Some data is important while some data is just useless and unnecessarily cluttering the hard disk. I am talking of duplicate files. I am sure that every PC has tons of unnecessary duplicate files. I was running out of HDD space like anything and even a 2TB was falling short. Later I realized that there is huge amount of duplicate files ranging from games, songs, pictures and other miscellaneous stuff. I started looking for free 'duplicate file remover' software on Google and there were ‘N’ number of options. I downloaded few software but was not satisfied by the end results. There were a few glitches in most of the freewares. I wanted a reliable software which is safe to use as it will work on my important data. Running a unreliable software might crash your system. On further searching I came across a tiny program called ‘Double Killer’ which is a freeware and mere 400 KBs in size. I was extremely happy and satisfied with its performance and capabilities. It did removed duplicate files and I was able to recover several GBs of space. This has fairly easy to use interface and all options are easily understandable. 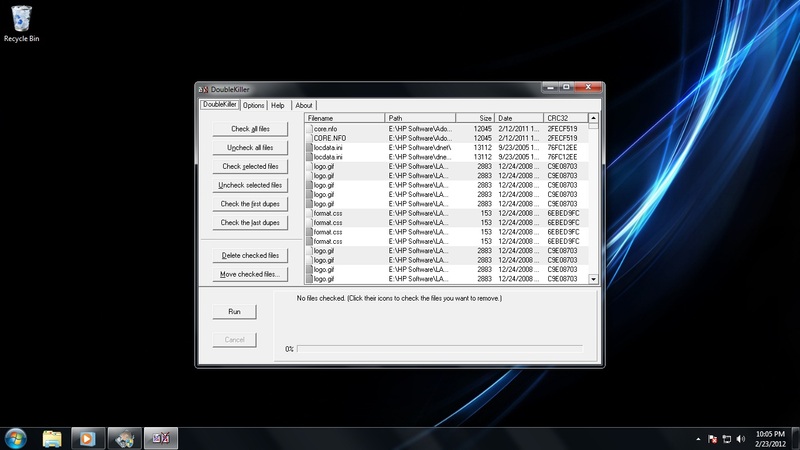 It finds duplicate files on the basis of name, size, and creation/modify date. First I did a test run over a deliberately created folder containing duplicate files of all types including photos, music, videos and miscellaneous documents. After trusting the success of test run I included one folder per scan and one by one scanned all folders and deleted duplicate files. If your data is large than it may take some time to scan, so some patience is definitely required. This software can be downloaded from http://www.bigbangenterprises.de/en/doublekiller/download.htm. Disclaimer – Please note that this is end user review based on my experience, I do recommend the freeware but please don’t bash me if anything goes wrong. Perform a test and then use it.